Khao Phing Kan or Ko Khao Phing Kan is a pair of islands on the west coast of Thailand, in the Phang Nga Bay, Andaman Sea. About 40 metres (130 ft) from its shores lies a 20 metres (66 ft) tall islet Ko Tapu or Khao Tapu. The island is a part of the Ao Phang Nga National Park. 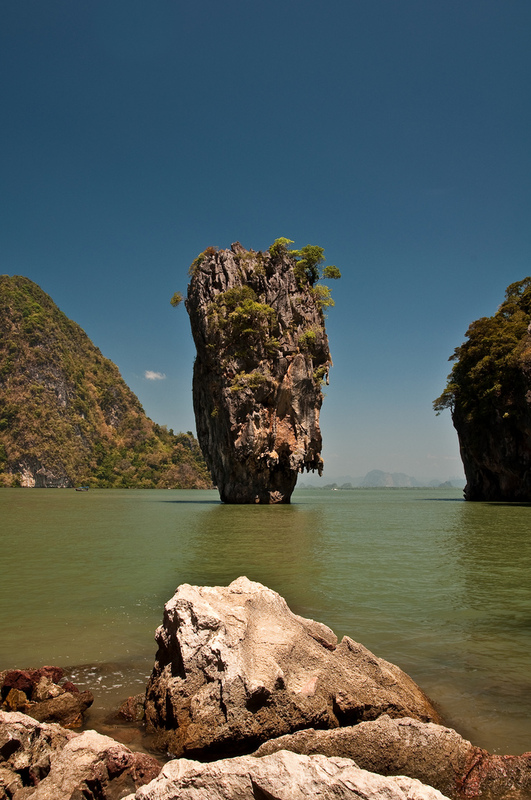 Since 1974, when it was featured in the James Bond movie The Man with the Golden Gun, it is popularly called James Bond Island. 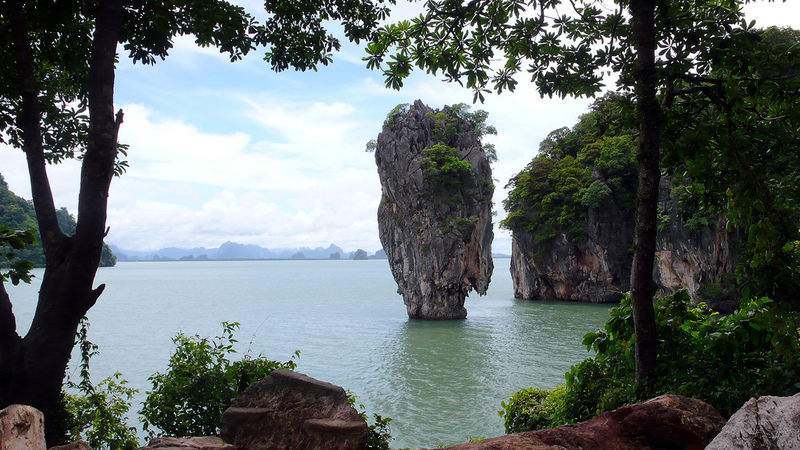 After appearing in the 1974 James Bond movie The Man with the Golden Gun, Khao Phing Kan and sometimes Ko Tapu became widely referred to as James Bond Island, especially in tourist guides, and their original names are rarely used by locals. Before 1974, the island was a rarely visited indigenous area. However, it was chosen as one of the locations for the 1974 James Bond movie The Man with the Golden Gun as the hideout for Bond’s antagonist, Francisco Scaramanga. After the movie release it turned into a popular tourist destination that has gradually contaminated Khao Phing Kan with household litter. Sources: Wikipedia, Flickr 1, 2.